High quality certifying basic life support classes with experienced instructors. Ideal for healthcare workers (RN, MA, LPN, CNA, EMT), teachers, daycares, recreation employees, construction workers, babysitters, wilderness programs. Covers 1 & 2 person CPR for adults, children, and infants, ventilation management, AED use, and choking. Cost: $60 per person, including 2-year certification in BLS, workbook, and 3-hour course. Call 970-625-0551 or email info@bigredfiretraining.com to register or schedule a class. High quality certifying first aid classes with experienced instructors. Ideal for healthcare workers (RN, MA, LPN, CNA, EMT), teachers, daycares, recreation employees, construction workers, babysitters, wilderness programs. 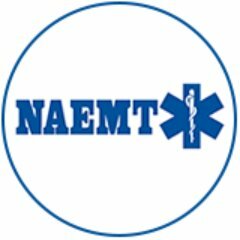 Covers bleeding control, allergic reactions, diabetic emergencies, drowning, asthma, traumatic injury, splinting, and other special topics as requested. Cost: $60 per person, including 2-year certification in First Aid, workbook, and 4-hour course. The Child and Babysitting Safety program provides fundamental information in the business of babysitting, proper supervision, basic caregiving skills, and responding properly to ill or injured children or infants. Geared towards adolescents, provides certification card. Cost: $30 per person, including 2-year certification in Child & Babysitting Safety, workbook, and 2-hour course. The BloodBorne Pathogens classroom course teaches employees how to protect themselves and others from being exposed to blood or blood-containing materials. This course is designed to meet OSHA requirements for bloodborne pathogens training when paired with site-specific instruction. Cost: $35 per person, including 2-year certification in BBP workbook, and 1-hour course. Call 970-625-0551 or email info@bigredfiretraining.com to request an advanced class. Advanced pharmacology for emergency medications, tailored to your protocols. Courses cover pathophysiology, pharmacokinetics, dosing, indications, contraindications, side effects, therapeutic effects, and practical skills for medication administration. Introduction to rhythm interpretation, as well as 12-lead and advanced interpretation. Includes basic rhythm and wave recognition, interval identification, STEMI imposters and recognition, pre-excitation syndromes, electrolyte imbalances, aberrant conduction pathways, as well as pathophysiology and practical skills of EKG placement. Basic and advanced airway management, including endotracheal incubation, supraglottic airway devices, surgical and needle cricothyrotomy, video laryngoscopy, nasal intubation, and difficult airways. HeartCode and other blended learning courses combine online learning with hands-on CPR skills practice to ensure competency. Students complete the online portion of the course at their own pace, anytime and anywhere they have Internet access. Students then attend a hands-on skills session with an AHA Instructor to receive their course completion card. Call 970-625-0551 or email info@bigredfiretraining.com to request a skills checkoff.